Plinio was born in Brazil, a country encompassing half of South America. Discovered in 1500 by the Portuguese, Brazil was named “The Land of the Holy Cross.” This predominantly Catholic country was ruled by a monarchy until the republican coup of 1889. Plinio’s parents, João Paulo Corrêa de Oliveira and Lucilia Ribeiro dos Santos, were born in the twilight of the monarchy. Both came from the old rural aristocracy—his father from the sugarcane aristocracy of Pernambuco in northern Brazil, and his mother from the coffee aristocracy of São Paulo in central-southern Brazil. In fact, their social situation mirrored that of the antebellum old plantation families of the American South. Plinio’s parents lived in São Paulo, where Plinio was born in 1908 and where he resided his whole life. Rosée, an older sister, was his only sibling. In addition to religious concerns, young Plinio felt attracted to the marvelous and sublime aspects of life as handed down by tradition. He had a vivid interest in religious, political and social issues even before he could read. In his mind’s eye, Plinio saw ideas should not be hidden in books gathering dust, but weaved into the tapestry of human life. For Plinio, social context gave life to ideas, which in turn influenced mindsets. Plinio spoke his first Portuguese words at six months, and began speaking French and German at the age of four. His personality combined characteristics of the people of Pernambuco and São Paulo: he was amazingly logical for one so young, and showed an early inclination for debate and oratory. At home there was much discussion about the political situation of Brazil. Even in this traditional family there were “bold spirits” who flaunted their atheism and socialistic leanings. They tended to dominate the discussion, presenting themselves as heralds of the future while the practicing Catholics who opposed them often appeared confused and on the defensive. Although Dona Lucilia would remain silent during these arguments, Plinio rejected the temptation to betray his inclinations. He chose to defend tradition. The period after World War I was one of rapid transformation in Brazil. The rise of Communism in Russia and the unrest that spread throughout Central Europe sent ripples all the way to São Paulo, where street demonstrations and labor conflicts often turned violent. The social and cultural atmosphere of São Paulo changed, and much of the splendor and glitter that characterized the belle époque in this metropolis began to wane. Rapid mechanization favored this process. Already São Paulo was entering the dizzying industrial boom that would transform the small aristocratic city of the twenties into the largest industrial hub of South America, with more than eight million inhabitants [in the 1970s –Ed.]. The budding feminist movement, which promoted masculine fashions for women, and the introduction of more casual manners also contributed to this “new world” which increasingly conflicted with Plinio’s mentality. If people were fascinated with the first highways, radio stations and commercial aircraft, they were even more enthralled with the cinema. Hollywood films captivated the multitudes and declared that the post-war changes were irreversible. Caught up with the euphoria of peace, prosperity and progress, virtually everyone was swept along in this process and gave no thought to the bitter fruits it might bring in the course of the century. At age ten, Plinio observed these changes around him and rejected them. He began to debate their merit, at first with the “bold spirits” at home. Above all, he developed the habit of reflection, seeking to understand the events around him. The more life changed, the more Plinio was convinced that certain things should never change, and that others should change in a direction diametrically opposed to the trends he witnessed. Plinio’s rejection of this process crystallized into a conscious resistance, a position that he adopted for life. 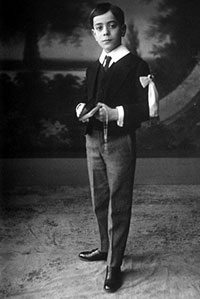 In 1919, Plinio entered the Jesuit Academy of Saint Louis, his first school. There he met not only students from his own social circle, but also the children of recently immigrated wealthy families. What he saw among them reinforced his outlook on life. Prior to his enrollment in the Academy, Plinio and his sister were tutored by a Bavarian governess, Fräulein Mathilde Heldmann, an experienced and talented teacher. Fräulein Mathilde had worked in Europe for several noble families. She came to Brazil in 1913 at Dona Lucilia’s invitation, bringing with her memories of the aristocratic and brilliant European belle époque that World War I destroyed. During French and German classes, Fräulein Mathilde spoke to Plinio and his sister of that world, emphasizing its aristocratic ceremony, manners and good taste. At school, Plinio felt the shock of an atmosphere vastly different from the one in which he had been reared. The students were already caught up in the Hollywoodian transformation of Brazilian life. For Plinio’s classmates, the word “Hollywood” was sacrosanct. It meant modernity, dynamism, self-realization, pragmatism, contempt for culture and reflection, enthusiasm for agitation and spontaneous action, egalitarianism and sensuality. It promoted a simplistic and deformed image of the United States in movies that Brazilian schoolboys universally esteemed. The challenge posed by the “bold spirits” at home was repeated at school. Plinio would have to resist or he would capitulate and adhere to changes his soul rejected. His efforts to find classmates who thought like he did invariably ended in failure. Alone in his way of thinking, Plinio resolved not to partake in a quixotic opposition to everything and everyone. He would never say or do anything contrary to the convictions maturing in his soul but, would voice them only on those occasions when he judged he had a chance of prevailing in an argument. After serious reflection, Plinio followed this line of conduct until he was twenty. Like every serious fighter, he was learning strategy. While the spirit of Hollywood reigned among the students, the spirituality of Saint Ignatius of Loyola could still be found among the Jesuits. Plinio was attracted immediately to the seriousness, depth and coherence with which Saint Ignatius taught. He was enticed by the saint’s invitation to practice religion to its last logical consequences. Here, Dona Lucilia’s religious influence found logical elements to further strengthen Plinio’s convictions, which were now budding into an enthusiastic love. Plinio began to attend religious practices and frequent the Sacraments more assiduously. He also deepened his devotion to the Blessed Virgin Mary that gradually became the main pillar of his spiritual life. Through his experiences at the academy, Plinio understood that the battle for or against God and His Church is the main motivating factor of all history. In fidelity to the Church, the world has the means to secure its best ideals to a firm rock and reject all error and evil. On the contrary, if the world rejects God and His Church, social mores, institutions, peoples and civilizations head inevitably for destruction. He saw the new order of things around him, based on secularism, as empty, inconsistent and perishable. He realized that only Christian civilization produces a perfect order capable of inspiring authentic progress that is tempered, just and diametrically different from the crazed gallop toward immoderate prosperity and pleasures that the new order promised. Plinio did much soul-searching between 1918 and 1928. The widening chasm between him and those around him encouraged analysis and abstract thought. This aided him in defining the objectivity and logic of his premises. For this same purpose, he began a serious study of history, especially French history, and Catholic doctrine. From his earlier studies of European history, Plinio had some knowledge of the Christian civilization of old, remnants of which still surrounded him. Above all, he had seen the Catholic Church still untouched by the new order and bathed in a heavenly, regal aura. As he studied European history more deeply now, he tried to compose a global picture of what the Church was and what Christian civilization had been, all the while seeking to answer a question both idealistic and practical: What could be done to contain the wave of destruction advancing from all fronts? Next he wondered: What could be done to renew fidelity to the doctrine and tradition of the Christian West? He was searching for a means of renewal that would preserve the timeless values of the Church and tradition, and uplift all men by spreading these values throughout the world. Although subject to the obvious limitations of age and experience, Plinio’s thought process revealed a courageous and original spirit of synthesis. Plinio used an historical perspective of error and evil as a contrasting element to better evaluate the true meaning of the Church and Christian civilization. Thus, from age thirteen onward, Plinio read much about the French Revolution, and at age seventeen he studied the Russian Revolution. Both revolutions provided ample material to contrast between darkness and light, allowing him to bring his synthesis into ever-sharper focus. The book Revolution and Counter-revolution was slowly but powerfully taking shape in his mind. Plinio emerges as a Catholic leader. As the desire for a total restoration of Christian civilization grew in his soul, Plinio kept asking himself if it were attainable. What could a single man do? Were there others who might join him in this mission? In the Marian Congregation at the Academy of Saint Louis, Plinio had known young men who prayed and received the Sacraments. Yet none seemed to have a religious outlook that extended beyond a desire for individual salvation. These would not follow Plinio on the arduous but luminous road ahead. Plinio continued to search as he finished high school and entered the São Paulo Law School. Its secularist faculty and student body shared the mindset of the students he had known at the Academy of Saint Louis. Interiorly isolated once again, he remained faithful to his resolutions, and continued to search for allies. Just when it seemed they would never come, they came in an unexpected way and in unexpected numbers. The “bold spirits” had spread the notion that religion was a good thing for respectable women, because it kept them virtuous, but not for men. According to them, religion sapped masculinity. In such an atmosphere, if a Catholic man practiced his religion openly, he faced discredit and sarcasm. Consequently, when Plinio saw a banner inviting Catholic men to attend a Catholic Youth Congress in 1928, he sensed in it a spirited challenge to the influence of the “bold spirits.” He signed up immediately. Hundreds of fervent young Catholics attended this congress, and among them, Plinio found what he had been looking for. The Catholic Youth Congress held in September 1928 was the first of a series of events that transformed the Marian Congregations into a national force in less than ten years. Most of the youth of the Marian Congregations came from the lower and middle classes, and displayed an intense thirst for Catholic spirituality. They had a serious concern for social issues, yet were avidly anticommunist. In an effective though diffused way, they also opposed the anti-Christian character of the French Revolution with its ideological and cultural ramifications. As the work of the Marian Congregations expanded, Plinio became a frequent speaker at public gatherings of all types throughout São Paulo and Brazil. With his fervor, oratory and organizational skills, he became the best-known Marian leader in Brazil. 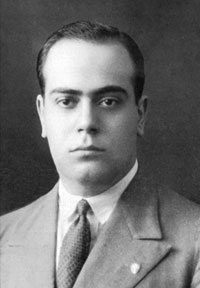 In 1929, when the law-school students appeared receptive to religious renewal, Plinio founded the University Catholic Action Group, which grew rapidly. Meanwhile, Brazil was beset by several crises. In 1929, the coffee market crashed leading to a financial collapse in which much of the rural aristocracy, including Plinio’s maternal family, lost most of their wealth. In 1930, a liberal, communist-backed revolution overthrew conservative President Washington Luis Pereira de Sousa. The large cities, with their industrial and commercial development, overtook the more traditional rural regions in political influence. With a labor-military dictatorship running the government under Getulio Vargas, Brazil began sliding into leftist adventurism. In 1932, the upper classes from the state of São Paulo rebelled in an attempt to stop this political slide. 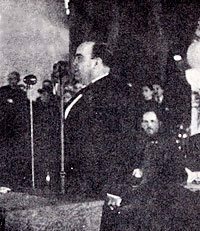 Their movement failed, but Getulio Vargas found it necessary to convoke a constitutional assembly to review the country’s political organization. Given the importance of the constitutional assembly, Plinio and two good friends — Alceu de Amoroso Lima (whose pen name was Tristão de Athayde), a writer and recent convert to Catholicism, and Heitor da Silva Costa, architect of the world-renowned statue of Christ the Redeemer in Rio de Janeiro — conceived the idea of founding the Catholic Electoral League. Its purposes would include providing voter guides so Catholics would know which candidates were more favorable to the Catholic cause. Cardinal Sebastião Leme, Archbishop of Rio de Janeiro and recognized leader of the Brazilian bishops, sanctioned the plan, and soon the League was thriving all over Brazil. Plinio became secretary-general of the Archdiocesan Board of the League in São Paulo. His services led the archbishop of that city, Cardinal Duarte Leopoldo e Silva, to choose him as a Catholic coalition candidate to the constitutional assembly. In the election, Plinio, then twenty-four years old, surprised himself and the country by receiving more votes than any other candidate in Brazil and nearly twice that of any other São Paulo candidate. Many Brazilians wondered how a young, inexperienced lawyer fresh out of school would fare among longtime politicians, most of them with views contrary to those of the Catholic Electoral League. The League wanted the reintroduction of obligatory religious instruction in public schools, the banning of divorce, civil recognition of religious marriage and the establishment of chaplaincies in the armed forces and prisons. Plinio’s activity on the Assembly floor and among fellow representatives contributed decisively to the inclusion of the League’s platform in the constitution of 1934. Plinio was consequently seen as one of the most brilliant and efficient Catholic leaders of the constitutional assembly. The new constitution was implemented in God’s name and made possible the founding of private universities approved by the state. This provision opened the door for Plinio to teach at universities. In 1934, he gained the chair of history and civilization at the university attached to the law school where he had graduated five years before. Soon, Plinio began teaching modern and contemporary history at Sedes Sapientiae College and São Bento College, which grew into the Pontifical Catholic University of São Paulo. 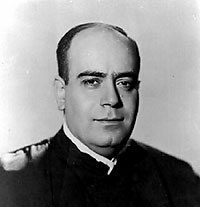 Plinio was also appointed director of the Catholic weekly Legionario. His field of action was now vast. Plinio, a leader in the Marian Congregations, began to fight progressivist doctrines and errors in Catholic Action. There was a growing schism within Catholic public opinion that was beginning to separate Plinio from many of the Catholics best suited to work with him. It was caused by progressivism, which Plinio fought from its inception. In Brazil, progressivism began in 1935 when the national episcopate founded the Brazilian Catholic Action. Tristão de Athayde was appointed national president of the organization and Plinio was named president of the São Paulo chapter. Immediately, Plinio noticed that priests and nuns recently arrived from Europe were quietly disseminating strange doctrines within the ranks of Catholic Action. Certain groups within the movement were adopting these errors with a zeal that bordered on fanaticism. Plinio tried to expose the subversive elements, but his efforts were met with indifference. Even the bishops ignored him. Plinio’s growing apprehension resulted from his certainty that the crisis within Catholic Action was not only local but worldwide and could become the heresy of the century. Thus, in 1943, he wrote In Defense of Catholic Action, warning of this progressivist infiltration. The Apostolic Nuncio to Brazil, Dom Bento Aloisi Masella, later cardinal and camerlengo of the Holy Roman Church, wrote the book’s foreword. Plinio was never an intellectual moved by merely speculative reasoning, and never wrote just for other intellectuals. He was a fighter and the pen was his weapon. In less than six months, In Defense of Catholic Action had divided Brazilian Catholic opinion profoundly. Bishops and priests spoke publicly for or against the book, and Catholic Action, now a stronghold of progressivist ideas, never fully recovered from the blow. Plinio’s book struck home, and in response, enraged progressivists made Plinio the target of a vicious slander campaign. From acclaimed Catholic leader, he became one of the most controversial Catholic figures in Brazil. Invitations to speaking engagements dwindled, and the circulation of Legionario dropped, as many readers canceled their subscriptions. Plinio was left with a group of less than ten friends, known as the “Legionario Group.” In 1947, when Legionario changed hands, Plinio and his friends lost even the name by which they were known. Two prominent priests, who later went their separate ways, figured among Plinio’s small group of friends: Monsignor Antonio de Castro Mayer and Father Geraldo de Proença Sigaud. Both had endorsed In Defense of Catholic Action and consequently suffered reprisals. Monsignor Mayer, who had been vicar general of the diocese, was made administrative vicar of a humble parish in São Paulo, and Father Sigaud was sent to Spain. What most pained Plinio and his friends in this persecution, brought on by their defense of the Faith, was the Holy See’s apparent indifference. But neither Providence nor Pope Pius XII was asleep. After a few years of silence, the Catholic circles of Brazil were amazed to hear that Father Sigaud had been named bishop of the Brazilian diocese of Jacarezinho. Speculation about his appointment had not died down when Monsignor Mayer was made bishop of Campos, Brazil. Rome had intervened on behalf of Plinio and his friends. As mentioned above, these bishops went their separate ways many years later. Moved by your filial dedication and piety, you offered the Holy Father the book In Defense of Catholic Action, in which you reveal perfect care and persevering diligence. His Holiness is very pleased with you for having explained and defended Catholic Action — of which you have complete knowledge and for which you have great esteem — with penetration and clarity so that it has become clear to all how important it is to study and promote this auxiliary form of the hierarchical apostolate. The august Pontiff hopes with all his heart that this work of yours results in rich and mature fruits and that from it you may harvest neither small nor few consolations. And as a pledge that it be so, he grants you the Apostolic Blessing. Notwithstanding Rome’s approval, the influence of certain progressivist elements was such that Plinio remained ostracized. This changed in 1951 when Bishop Mayer founded the cultural monthly Catolicismo and invited all the veterans of the Legionario Group to join its staff. Catolicismo quickly acquired a large national readership. Plinio’s old friends took heart throughout Brazil, and he and his group once again prepared to take the fight to the Church’s enemies. Plinio’s group had used the intervening years for serious study in common. Their daily contact had strengthened their spiritual bonds and mutual understanding. As a result, they were now a true family of souls. In 1949, a group of young men from some of the best families of São Paulo joined this family of souls after realizing that their adherence to the principles of Legionario left them alienated from the Marian Congregation of the Academy of Saint Louis. Enthusiastic and militant in their faith, these young men traveled all over Brazil looking for others willing to join them in spreading Catolicismo and fighting for the Faith. To coordinate their nationwide efforts, they instituted an annual Week of Studies in 1953. By 1961, the Week of Studies had developed into the Latin American Congress of Catolicismo, with four hundred participants from Brazil, Argentina, Chile and other South American countries. After 1961, to better accommodate the growing number of participants, regional gatherings took place instead of the national Week of Studies. The participation of those from Argentina, Chile and other countries was due to the efforts of Catolicismo’s members, old and young, to find kindred spirits throughout South America. The growth of this family of souls called for defined juridical structures. Consequently, in 1960 the Brazilian Society for the Defense of Tradition, Family and Property was founded. In 1967, the Argentine and Chilean groups, while remaining legally autonomous, also became TFP associations. Other groups followed, including the American TFP in 1974. In 1974, Plinio turned 66. Nevertheless, he continued to face great challenges with an ever-increasing enthusiasm and a profound wisdom acquired through a life of struggle and suffering. Although able to claim victories in his defense of the Church, he had no illusions about the magnitude of the evil affecting humanity. The darkness surrounding the small beacon of his modest achievements grew daily. So did the progressivist crisis in the Church which was the greatest affliction for Plinio and the TFP. Pope Paul VI referred to this crisis as the Church’s “self-destruction” and the spreading of “Satan’s smoke” within the sanctuary. Due to his formation, spirituality and study, Plinio was above all a servant of the Papacy. Cardinal Giuseppe Pizzardo, prefect of the Congregation of Seminaries and Universities, once wrote a letter praising one of Plinio’s studies, The Church and the Communist State: The Impossible Coexistence. The cardinal termed the work “a most faithful echo of all the documents of the Supreme Magisterium of the Church.” On reading the letter, Plinio remarked that he could wish for no loftier title than a “most faithful echo” of the Church. As the years went by, Plinio’s love for and unconditional obedience to the Vicar of Christ and the Holy See only increased. We may well imagine therefore his grief and dismay at Pope Paul VI’s policy of détente toward communist regimes. This policy cornered him and all the TFPs into a painful decision: to cease opposing Communism or to declare their disagreement and resistance in relation to the Vatican’s policy. Plinio chose a position of filial resistance, which he explained in a document that is a hymn of fidelity to the Pope and the Papacy. Endorsed by the TFPs around the world, this “Declaration of Resistance” was published in major newspapers of Canada, South America and the United States, and many Catholics feel that it expresses their own thoughts. Although several ecclesiastical authorities in different parts of the world voiced their personal disagreement with the TFPs’ position, none contested its legitimacy from a canonical standpoint. They would have done so if the slightest infraction had been committed. In Portuguese, the term “dona” is used as a respectful title for a married woman. This entry was posted in Catholic Perspective, Fighting the Culture War, Plinio Corrêa de Oliveira and tagged 1928, Alceu de Amoroso Lima, American TFP, anticommunist, Archbishop, atheism, belle epoque, Blessed Virgin Mary, Brazil, Brazilian Catholic Action, Brazilian Society for the Defense of Tradition, Brazilian TFP, Cardinal Duarte Leopoldo e Silva, Cardinal Giuseppe Pizzardo, Cardinal Sebastiao Leme, Catholic, Catholic doctrine, Catholic Electoral League, Catholic Youth Congress, Catholics, Catolicismo, Central Europe, Christ the Redeemer, Christian, Christian Civilization, Church, civilization, Communism, Congregation of Seminaries and Universities, Correa de Oliveira, Crusader of the Twentieth Century, Declaration of Resistance, faith, Family and Property, Father Grealdo de Proenca Sigaud, French, French History, French Revolution, Frulein Mathilde Heldmann, German, Getulio Vargas, God, Heitor da Silva Costa, Hollywood, Holy See, Immaculate Heart of Mary, In Defense of Catholic Action, industrial, intellectual, Jesuit Academy, Jesuits, Joao Pauolo Correa de Oliveira, Latin American Congress of Catolicismo, Legionario, Legionario Group, Lucilia Ribeiro dos Santos, Marian Congregation, marvelous, mechanization, monarchy, Monsignor Antonio de Castro Mayer, Monsignor Giovanni Batista Monini, Most Faithful Echo of the Supreme Magisterium of the Church, peace, Pernambuco, Pillar, Plinio, Plinio Corrêa de Oliveira: His Early Years, Pope Paul VI, Pope Pius XII, Portuguese, President Washington Luis Pereira de Sousa, progress, progressivism, prosperity, Providence, Reign of Mary, religious, resistance, revolution, Revolution and Counter Revolution, Rio de Janeiro, Rosee, Russia, Russian Revolution, Sacraments, Sacred Heart, Saint Ignatius of Loyola, Saint Louis, Sao Paulo, Sao Paulo Law School, Sedes Sapientiae College, South America, sublime, TFP, The Church and the Communist State: The Impossible Coexistence, The Land of the Holy Cross, Tristao de Athayde, University Catholic Action Group, Vicar of Christ, Week of Studies, World War I by John Blain. Bookmark the permalink.